These Crazy Eyes pets will give you a new perspective on things! See the world through the crazy prism lenses and the world becomes a weird and wonderful kaleidoscope of patterns and colours. 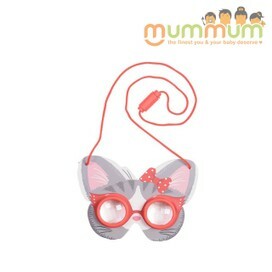 Available in Kitty and Puppy designs, simply hang the glasses around your neck and check them whenever you want to see things a little differently! Experiment with perception, colour and patterns! Have fun taking unique photo portraits of friends, shot through the prism lens! Please note (of course) does not include camera!